Changing the handlebars. What do i need to buy? HondaCB1.org Message Forums > General Category > Tech Corner > Changing the handlebars. What do i need to buy? I'm sure this question has been asked before but I couldn't find the answers to my questions by searching. I'm thinking of changing my standard clip-ons for higher bars, I'm finding the low position a bit too low for my old joints on longer journeys. I need to know what to buy exactly. I know I need risers and new bars and probably new longer cables but I don't know the exact items that I can buy or what my options are or where to get them from. Is there a guide or a previous post someone could point me to? Also if I could buy at least some of the parts used if I don't like the new position then I wouldn't have blown a wad of cash. Re: Changing the handlebars. What do i need to buy? Honda made various similar style bars to the CB-1s for other models that should fit. I can't remember which models exactly but the VFR800s are 41mm so might be a good place to start. The MKll CB-1 also had higher bars as standard. It will be easier to go this route than finding a top yoke or drilling yours for risers. I havn't got a clue where they are but somewhere I have a set of what I think are VF1100R bars that are the same size. 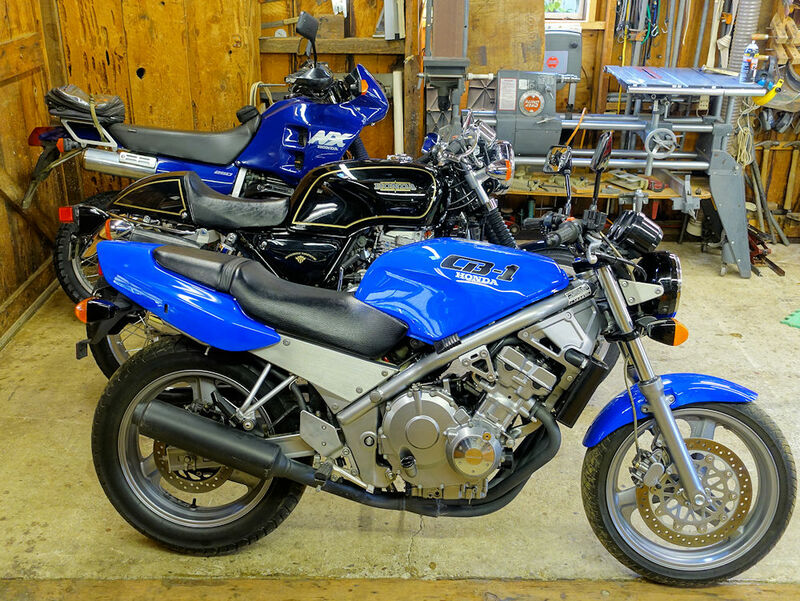 My bike had Honda NT650 Hawk bars installed when I bought it. They are a bit farther back and higher than stock and I find them really comfortable. The original bars along with throttle and clutch cables came with the bike, so I assume you will need to change cables to do the swap.